As Nashville’s full-service roofing contractors, commercial roofs have a special place in our hearts. They may not shelter families, but they protect jobs. They create spaces for people to innovate, grow, and work. They keep valuable goods dry and give essential services home bases. In short, commercial roofs are instrumental in everyone’s success, and we are honored to extend our roofing services to Nashville’s homes and businesses. In our last blog, we discussed a few key questions that often come up when we’re talking to people who own commercial buildings, including questions about white roof coatings and whether or not it is necessary to replace the whole roof or just repair it. 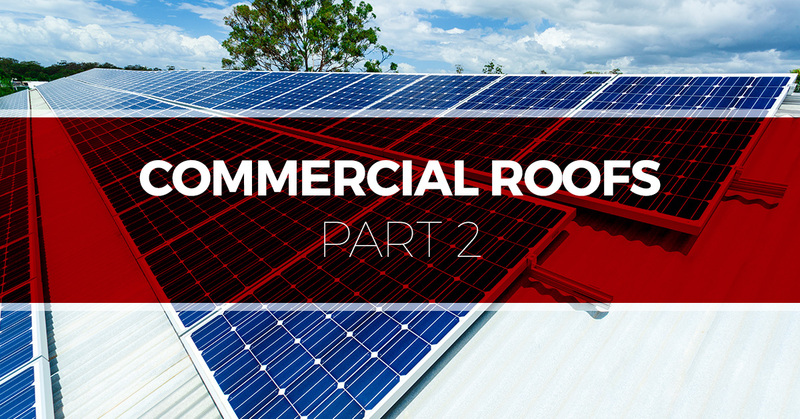 In today’s blog, we have a few more insights that we hope will give you a good starting point as you work to understand the needs of your commercial roof. I think I need a new roof. How much will it cost? Each roof costs a different amount. We can tell you right now that you will pay to replace the roof you own, not one bigger or smaller. When you contact us for roof replacement, we will schedule a time to come around and give you a quote. This number will be how much you will pay for a new roof if you work with Tim Leeper Roofing. We will always put your interests first, so you can depend on a price that will get you the best workmanship without breaking the bank. My roof has solar panels. How does that work with roof repair or replacement? We are glad you have solar panels! Going green is a fantastic thing for you, your business, and your environment. When it comes to roof repairs or replacement, solar panels don’t have to be a pain. If you’re getting your roof merely repaired, it may not be necessary to remove the panels. If you’re getting a replacement, we recommend you contact an experienced electrician to remove them. We want you to have complete peace of mind through the process, so our roofing contractors will work with you to ensure you get the roofing repairs you need while keeping your solar panels safe. At the end of the day, if it wasn’t for the commercial roofs sheltering all of our endeavors, residential roofs wouldn’t be affordable. When you ensure your commercial roof is in great shape, you’re also ensuring the well-being of everyone beneath it as well as their families. Let us bring our passion for roofing to your residential or commercial space. Contact us today! Whether we are performing routine maintenance or a total roof replacement, when you partner with Nashville’s go-to roofing contractors, you get a dedicated partner. We take great pride in what we do and in the reputation we have earned for being one of Nashville’s best roofing companies. Learn more about us and contact us with any questions!